Pasquale Vitale, born in 1997, begins to study guitar at the age of 12 under the guidance of Marco Caiazza. In 2014 started to attend masterclass with Frèdèric Zigante, and since 2016 he is a student in the conservatory of Alessandria. He debuted, as young talent, at the prestigious “Convegno Michele Pittaluga” in 2015, event that he took part also in 2017 to pay tribute to Reginald Smith-Brindle. In the same year, he has awarded at Camera dei Deputati of Rome in the “International music day” as winner of many international competition. He has played in numerous festival including: Festival international Andres Segovia (Madrid), Festival international city of Fiuggi, Festival international Andres Segovia (Pescara) and many others. 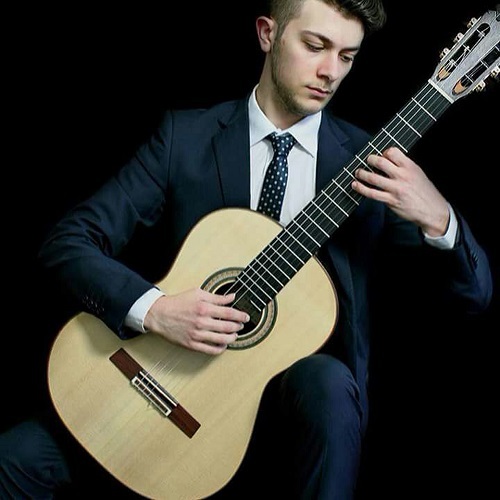 He participated in numerous competition from 2013 and he won over 20 first prizes, including Anna Amalia Competition for Young Guitarists (Weimar), International guitar competition city of Fiuggi, Roburent international guitar competition, Mottola international guitar competition for young guitarist. He attended masterclass with international guitar artist as Manuel Barrueco, Carlo Marchione, Adriano Del Sal, Marcin Dylla, Aniello Desiderio. If you are interested in working with Pasquale, please get in touch with the EMCY Office.